It is against the law to abandon a child. However, 47 states do have safe haven laws, or "Baby Moses" laws, that allow parents to surrender a child of a certain age to authorities without fear of prosecution. Laws vary by state on the maximum age of a legally abandoned child. Oklahoma enacted its safe haven law in 2001. In Oklahoma, a parent may surrender a child no more than seven days old without fear of prosecution. The parent must relinquish the child to a medical service provider or to a designated person at a police station, fire station, hospital or child protective services agency. What is Considered Child Abandonment in Michigan? 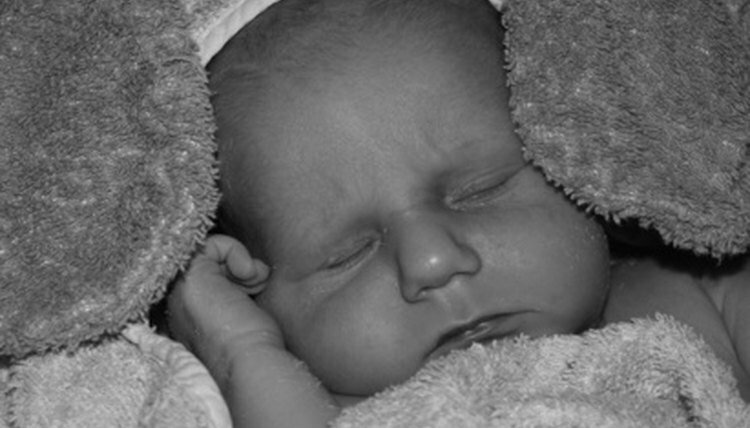 Parents who legally relinquish a newborn will not be prosecuted and may remain anonymous. State officials will verify that the child has not been reported missing. The Oklahoma Department of Human Services will send information about counseling to the parent and will provide details on how to get the child back if the parent changes her mind. A parent found guilty of the felony conviction of child abandonment in Oklahoma could face no less than one year and as much as 10 years in prison. Parents who fail to follow the details in Oklahoma's safe haven law can be prosecuted. According to a June 9, 2009 article in the "Tulsa World," a 30-year-old woman was charged with child abuse after she allegedly abandoned her newborn son in a downtown trash bin in Sapulpa, Okla. Proponents say safe haven laws save children from neglect and abuse. Opponents say the laws encourage abandonment and do not protect the rights of the infant. Because most safe haven laws allow parents -- or mothers, if that's what the state allows -- to anonymously relinquish the child, no medical or genetic history can be passed on. In a July 10, 2005 article in "The Boston Globe," Adam Pertman, author of "Adoption Nation, said many of the mothers who take advantage of safe haven laws would have instead worked with an adoption agency or turned the child over to a relative. After graduating in 1999 from the University of Kansas with a degree in journalism, T.R. Miller began her journalism career. Her work has been published in the "Vail Daily," the "Vail Trail" and the "Santa Maria Times." She has won numerous journalism awards, including second place from the Colorado Press Association in 2006 for a piece about launching a community radio station. Miller, T.R.. "Oklahoma's Child Abandonment Law." , https://legalbeagle.com/6367800-oklahomas-child-abandonment-law.html. Accessed 21 April 2019. What Is Child Abandonment in Ohio?